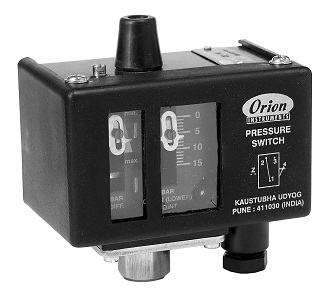 EZ_ _ A/EX _ _A series pressure switches are housed in pressed steel powder coated enclosure and are recommended for panel mounting or indoor service. The repeat accuracy is better than +/-1.5 % FSR,A 3/8” cable entry is provided for cables and a terminal strip suitable for wired ends is provided inside the enclosure. Pressure port is 1/4” BSPF standard.